Welcome to the first in our next blog series, focusing on the magic of editing. We at SGR-P are both providers of editorial services and accepters of it. For the next few weeks, we’ll talk about different editorial topics, from self-editing to finding your betas. We hope that it helps shine some light on this subject, and convinces you why editing for self-published authors isn’t something to be ignored. Let’s start at the beginning (the very best place to start…). 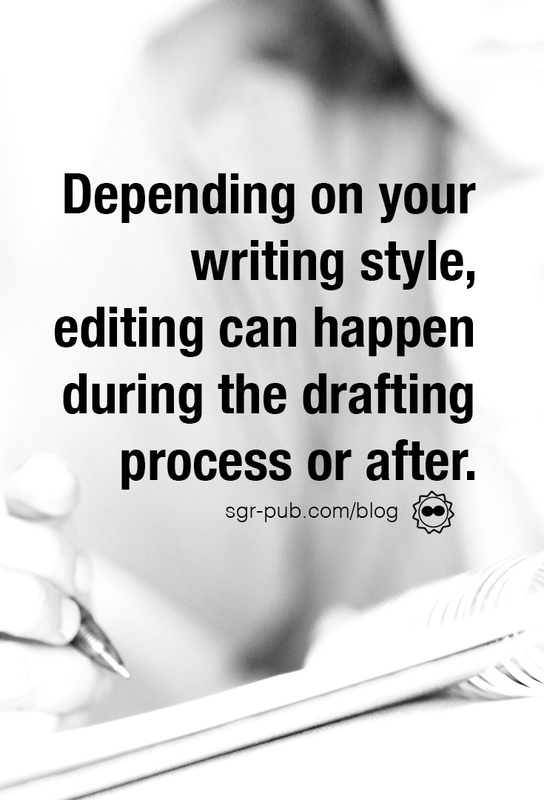 When we talk about editing, we are talking about a multitude of different steps in the publication process. Content editing is the process of looking at your story from a 10,000 foot view, and providing feedback. Generally, your content editor doesn’t help with typos or line edits (although they can point out clunky phrases). They will point out inconsistencies in characters and plotholes. Line editing takes your 10,000 foot view and drops it down to a 100 foot view. Your line editor may blend with a copy editor to find typos and grammatical errors. Quality Assurance (QA) editing is the final review for typos and errors that the previous three editing processes missed. Depending on your drafting style, it can happen as you write, or it can happen in one big chunk (or both). Where and when you need to outsource depends on your own comfort zone. Step 1: Finish a “first draft.” Sush likes to self-edit along the way, so it takes her a little longer to get those first 75,000 words down. Generally 3ish months. Step 2: Let it sit for a week, then read on the Kindle. This is another self-edit, where she rips her manuscript apart with the ferocity of the most persnickety reader, versus the persnickety eye of a writer. Step 3: After repeating Step 2 once or twice, the manuscript is released to her beta readers. These lovely loves are readers and other authors who provide an outside perspective to the story. After incorporating those edits once more, it gets another view on the Kindle. Step 5: The manuscript gets shipped off to the incredible Danielle Fine, who has been our go-to external editor for 11 of our 13 books. She rips it apart, as she does. Step 6: Once Dani’s edits are incorporated, it’s time for the first printed proof. One more read with an actual red pen. Step 7: The final step is to ship the nearly-complete manuscript to our bevy of QA readers, who have a keen eye for typos and formatting errors. Step 8: The book is ready for preorder! You might be asking yourself why should you go through all this trouble. You’re a pretty godo editor, your good at finding typos and whatnot. One sentence is easy. A 400 page book is another story. Even our QA readers end up finding different things in the book, although there is a lot of overlap. No one person is infallible, and you shouldn’t have to be. Besides that, editing isn’t just finding typos, as we said above. A good content editor can take your book from okay to fantastic by helping you clarify your thoughts. A line editor will give you a punch list of issues in your book to knock out. While you may be able to find some great beta readers out there, a paid editor is a contracted resource. They will take the time to make sure your book is the best it can possibly be. All of this boils down to one basic idea: You need a paid editor if you want to pursue a career (or even moderate success) as an author. For authors, you’re expected to do a whole lot of stuff. Build an audience. Grow your social media. Develop marketing campaigns with blogs and Instagram posts and whatnot. And keep writing more books, of course. We also like to use this scenario: An editor will run you around $400 (depending on word count). If you publish your book on Amazon, you’ll have to sell 197 books at $2.99 (with a profit of $2.04) to break even on that edit job. If you don’t use an editor… you may not sell any books at all. 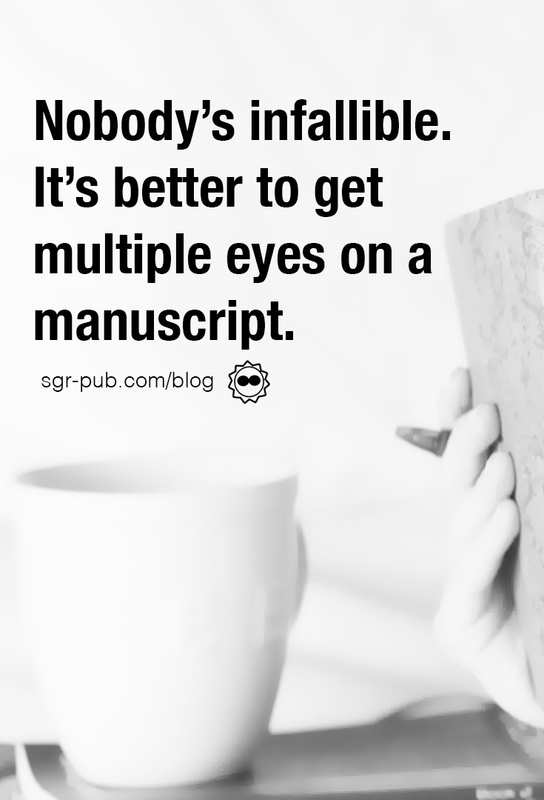 And no authors wants their debut novel littered with one-star reviews about poor editing. Final Book Proofing Tips – Make It Perfect, Let It Go! Previous: Previous post: Your Book Marketing Questions: Answered!